"Our family lost twins in June 2016. We all took it hard, but my son especially hard, not able to understand why this was happening when he wanted to be a big brother so badly. After 15 months of trying again, we finally got pregnant with our Rainbow baby. We told our son by wrapping up a framed sonogram picture. 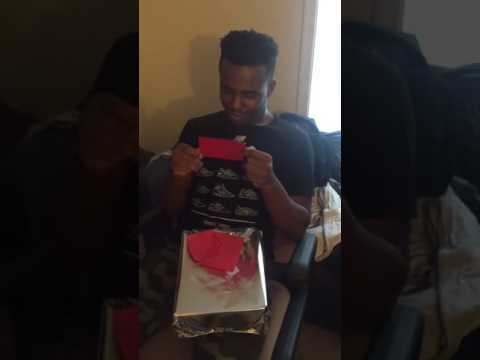 His reaction was heartwarming and more than I expected. I couldn't record anymore at the end. I had to go and sit on the floor with him and cry together. This baby is going to have the best big brother in the world, even with an 11.5 year age gap. I have a feeling they will be the best of friends."